Winter Fitness and Outdoor Fun! Baby, it’s cold outside. During the winter it is important that we continue to stay mindful of our health and fitness. When we think of ideal weather to workout in, cold is not high on most people’s lists but many people still walk, bike, and/or run. Colder, shorter days may make you want to cuddle under a warm blanket on the couch with a mug of hot chocolate and watch a movie or hit the snooze button on your alarm instead of completing your morning workout but this is the time when it is essential to continue to stay active. So, here are tips to avoid letting the cold weather interfere with your workouts along with some ideas for fun giveaways and promotional gifts. One way to make fitness a priority is to think of it as a necessity and not an obligation. No one likes chores and we are already obligated to do so much so why not look at working out as something we want to do to reward ourselves. Another way to fit in sometime for exercise is to shorten your workout, so if you usually jog for 1 hour, shorten it to 30 minutes, half of your usual workout time is better than no time at all. 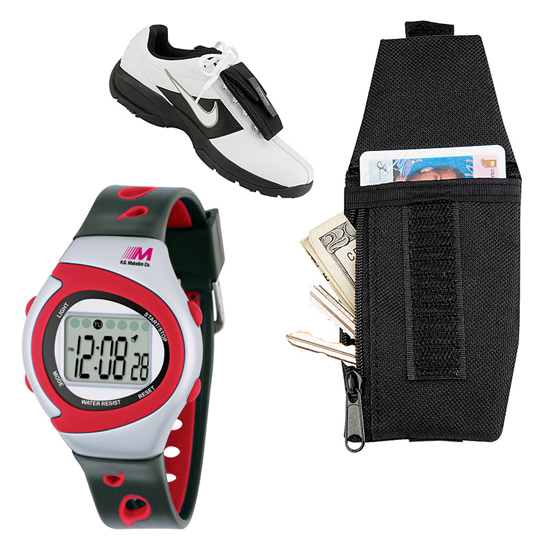 What could be better for this than a Pro-Sport Stopwatch and Shoe Wallet? Both are a great idea to us in a giveaway or to give to any client who may be planning to brave the cold this winter season and continue their workouts. I currently live in the northeast and there are two times a year we go into the attic, in the spring to get our summer clothes and in the fall to get our winter clothes. So often we will bundle up as we head out the door to work when it is cold out but not when we go out in the cold for fitness. Not dressing correctly while you workout outdoors in the cold can have a negative effect on your health. 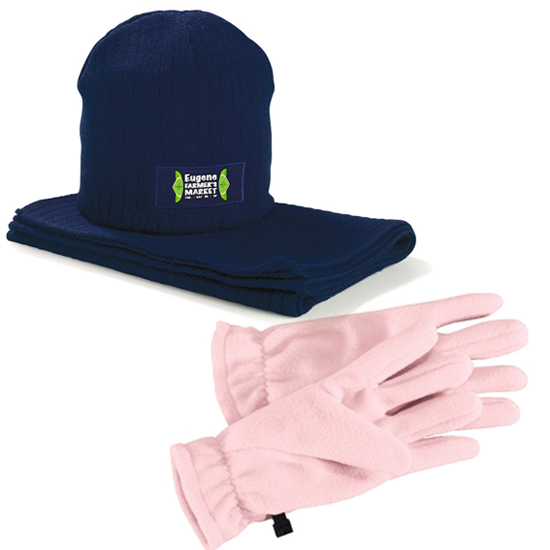 A Hat and Scarf Set along with a pair of Port Authority Fleece Gloves may be the promotional item that you were looking for. Not only are they thoughtful they are useful and have the potential for mass exposure all with your company logo on them. 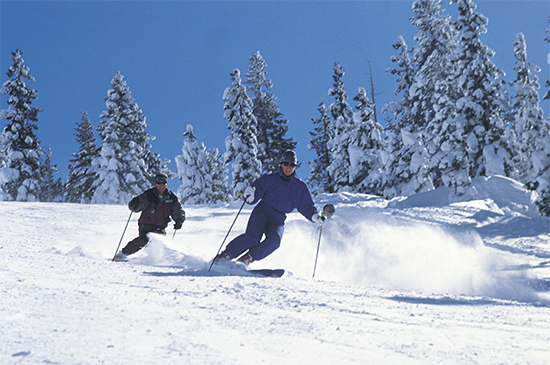 Yes there are fun, outdoor winter activities and sports. Who doesn’t look forward to skiing and snowboarding every year? Ice skating is still my favorite winter sport and every year my family gets together for a day of skating. There is never anything better to keep your ears warm than an Aspen Fleece Earband. And in keeping with our fun theme, we can’t forget about the fun stuff. 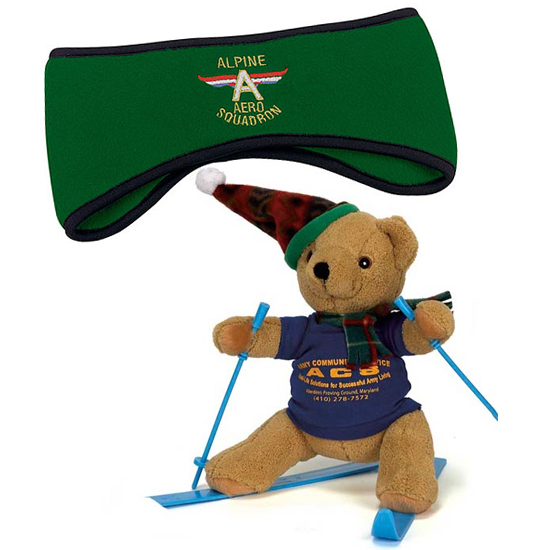 A Ski Bear may be just the gift one of your important customers needs to put a smile on their face, make them think about outdoor activities and take the time to plan that ski trip they have been daydreaming about. Winter fitness in the fresh air no matter the temperature is just what any doctor orders. It promotes good physical health, mental health and relaxation, improving circulation and boosting your immune system. Don’t be the one left in the house this winter because it’s cooler outside; continue to be proactive with your workouts. Exercise is essential for our overall heath and healthy employees lead to a happier, more effective working environment. How do you stay healthy when the temperature drops? What are some fun giveaways your company has this time of year, we want to know. Rudee January 06, 2014 Comments Off on Winter Fitness and Outdoor Fun!